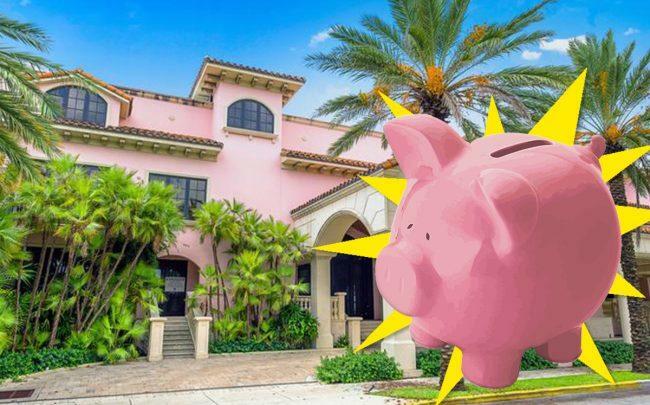 UPDATED, March 19, 10:50 a.m.: Forty-four EB-5 investors from China, Iran and Turkey who lost money in the still unfinished Palm House Hotel project are now suing PNC Bank and a South Florida branch executive, alleging the defendants aided and abetted fraud. The investors in the condo-hotel project in Palm Beach filed the civil suit in Palm Beach County Circuit Court earlier this month, alleging that the developer and others tied to the project promised their investment would be protected in a PNC escrow account until they secured their green cards. The suit alleges PNC legitimized that promise of safety, by purporting to create an escrow account. The plaintiffs were part of the federal EB-5 cash-for-visa program, which gives investors a green card in exchange for investing at least $500,000 in an American business and creating at least 10 jobs. The suit also names Ruben Ramirez, a vice president at PNC Bank’s Boynton Beach branch. In actuality, the investors claim that PNC Bank never held the money in an escrow account, but rather in a “fake escrow account” that operated as a business checking account. By putting this money into the checking account as opposed to an escrow, the investors allege that the Palm House Hotel’s developer Robert Matthews and the South Atlantic Regional Center’s director Joe Walsh, were able to take money out when they pleased for personal expenditures such as a 151-foot yacht and luxury homes. An attorney for PNC Bank and Ramirez did not immediately respond to a request for comment. The beleaguered Palm House Hotel project has now become a poster child for the risks of investing in an EB-5 project. After soliciting more than $40 million beginning in 2012, the project still remains unfinished and federal officials allege its developer Matthews defrauded investors by using the money to pay for personal expenses. Now, investors have lost their investment and are unable to receive their green cards because the project never met its job goals. “None of the plaintiffs’ EB-5 investment funds were used to develop the project,” the complaint states. Matthew’s development group allegedly went to great lengths to gain foreign investment. In marketing materials, it allegedly claimed that famous celebrities and politicians such as Bill Clinton, Donald Trump, Celine Dion and Bill Koch would serve on the Palm House’s advisory board. Other marketing information also said the project was receiving interest from Tommy Hilfiger to become a Hilfiger-branded project. The new lawsuit shines a light into how investors can be attracted to EB-5 projects. Unlike some other EB-5 projects where the investor’s money is not protected in an escrow account, investors were assured through documents that their initial investment was safely tucked away in an escrow account, according to David George, an attorney at George Gesten McDonald, who represents the plaintiffs. “That was one of the most important representations to cause them to invest [in the project],” since EB-5 legislation does not require that developers keep the money in an escrow, George said. While the EB-5 investors are still looking to get their money back, a bankruptcy judge recently approved the sale of the project to a U.S. affiliate of London + Regional Properties for $39.6 million. London + Regional Properties, a U.K.-based luxury hotel and resort company, beat Related Cos. to buy the former failed EB-5 project in Palm Beach, according to the Palm Beach Daily News. Correction: A previous version of this story misrepresented who promised the plaintiffs the safety and security of their investment.